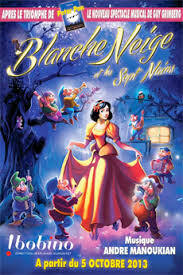 Invitation to the show “Snow White” for the children and their families! Every Saturday until the end of March, and all the days during the February school break, at the Théatre Bobino, Paris ! Inscriptions at the reception paediatrics of the IGR, or contact us at imagineformargo@gmail.com A Huge THANK YOU to Guy Grimberg, the producer of the show SNOW WHITE, for his generosity towards the children in fight.